Evening of Magnetism award recipients Tristan Victor, Ann McCarty and Catherine Franklin are pictured with Emory Saint Joseph's CEO Heather Dexter (center). 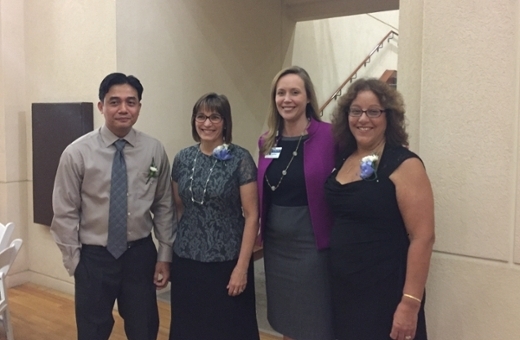 Emory Saint Joseph’s Hospital celebrated the 11th annual Evening of Magnetism, an event honoring the nursing staff through educational scholarship awards established by many dedicated hospital donors. These awards recognize nurses for their compassionate care of patients both at the hospital and their humanitarian work on mission trips, leadership, outstanding performance in a clinical specialty, and adherence to the Mercy Mission of Emory Saint Joseph’s.